Here are 3 free Windows 8 drum apps that lets you learn playing drums or just practice your drum skills, right on your Windows 8 system. All these drum Windows 8 apps bring you a set of virtual drums for you to play. Drums is one of the most popular Windows 8 drum app that lets your computer screen turn to a complete drum screen. The app brings you 12 different sounds of drum that you can play using the keyboard, or the mouse pointer. But, in case you have a touch screen device, then it works truly awesome as you have to tap your fingers (which is the easiest way) for playing drums. Let me quickly point out the main features of Drums below. Lets you play drums or just practice you drum skills, from within the app. Comes with a full-screen drum set. Helps you playing drums via keyboard by providing keyboard mapping. In short, Drums is a good fun and drum practice app for those who are into practicing drums. Go ahead and download Drums app in Windows 8 now. 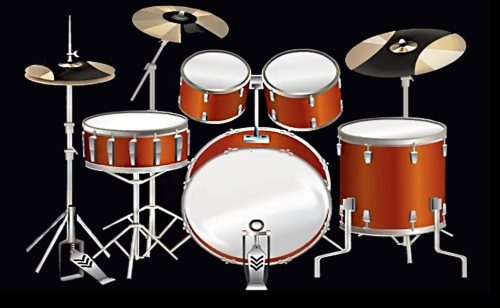 Available under the ‘Music & Video’ section of Windows 8 app store, Virtual Drums lets you practice your drum skills using the mouse pointer which is quite annoying. However, if you have multi-touch screen, then I would say it actually comes alive. All you need to do it just launch the app and start playing drums. You will find just a regular drum set and nothing else: no other options, no settings, no guidance, nothing. Just a set of virtual drums. Well.. it, somehow, did not attract me towards installing it. However, what I really liked is the labeling. Yup… each instrument in the drum set has been properly labeled with their respective names. Let me quickly point out the main features of Virtual Drums app below. Lets you practice your drum skills. Supports mouse pointer or tap finger if you have multi-touch screen. 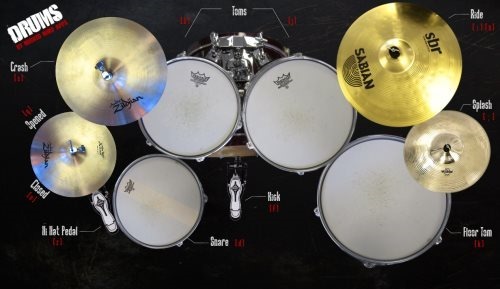 Play different drum sounds as you play drums. In short, Virtual Drums is not so good Windows 8 drum app. It does not support keyboard and mouse-pointer is little annoying after a certain point of time. Still, you can try Virtual Drums app in Windows 8..
Also, check out our posts on Piano Apps, Music Maker Apps, and Radio Apps. Ending my post with this last but definitely never the least, DrumApp gets you a very basic drum kit for those who really want to practice drums or for those who just want to have fun with virtual drums. As you open the app you will find a drum kit placed on a full-screen. It supports mouse pointer, hence you need to use your mouse for playing the drum sounds. Let me quickly bring out the key features of DrumApp below. 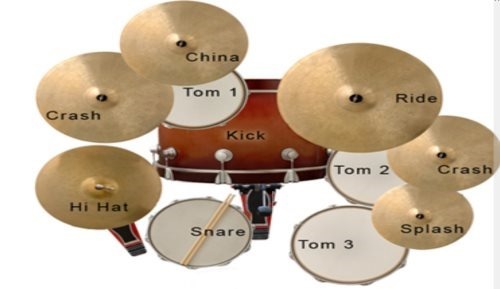 Brings you a very basic drum kit where you can practice playing drum. Supports mouse pointer for playing drums. In short, DrupApp is a nice drum tool kit to play around with various drum tools. Go ahead and download DrumApp in Windows 8 now..